Each spring, visitors are welcomed to over 250 of Virginia’s most beautiful gardens, homes and historic landmarks during Historic Garden Week, which has come to be known as “America’s Largest Open House.” A beloved Virginia tradition, this 8-day statewide event provides visitors a unique opportunity to see unforgettable gardens at the peak of Virginia’s springtime color, as well as beautiful houses sparkling with over 2,000 flower arrangements created by Garden Club of Virginia members. Locally, Lynchburg Garden Day will be held Tuesday, April 21, hosted by the Hillside Garden Club and the Lynchburg Garden Club. This year’s tour features five private properties showcasing examples of a city garden, a country garden, formal and informal gardens, and a working flower and fruit farm-garden, along with four outstanding homes. 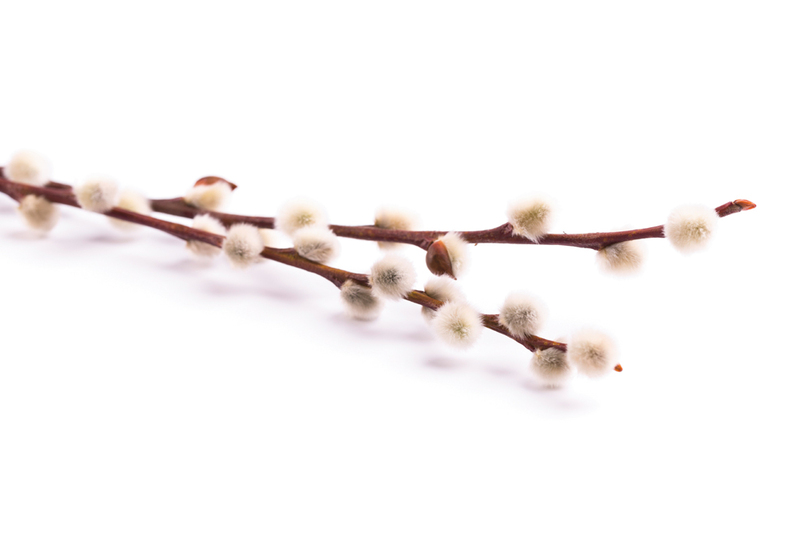 This special day also includes lectures on gardening in Central Virginia, as well as flower arranging tips and techniques. Advance tickets are available locally at various locations as well as online; tickets may also be purchased on-site on the day of the tour. For more information, visit vagardenweek.org. Here, HOME offers a sneak peek at what this year’s tour has to offer. 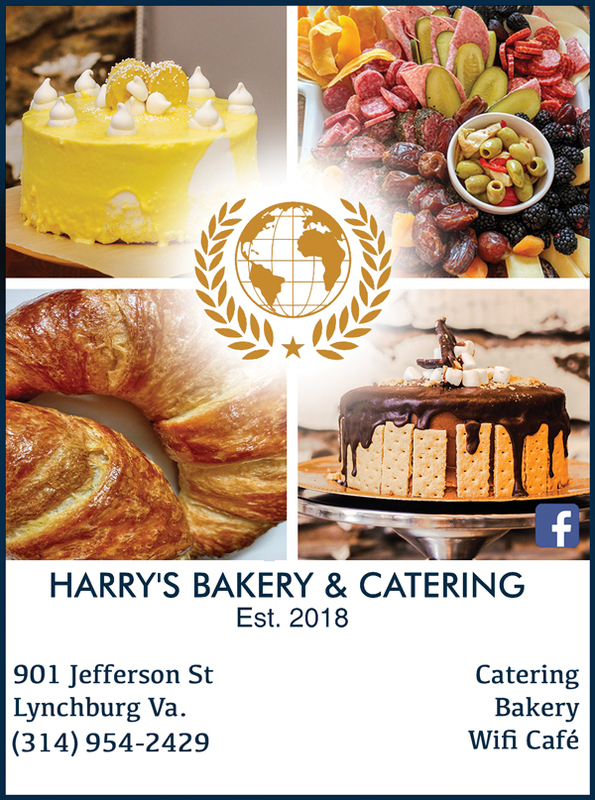 Visit this 1902 Georgian revival home in the heart of downtown Lynchburg and you will feel as if you have been transported to the country. The “Lucado House” is a Historic District treasure, one purchased by the current homeowner in 2003 as a surprise Christmas gift for his wife. All woodwork, mantels and wainscoting are original to the home. The family room ceiling is a restored canvas painting not to be missed. Three stunning crystal chandeliers purchased by the homeowners in New Orleans grace the main level, and the dining room’s is equally magnificent, made from Murano glass and acquired while on holiday in Venice. Four gracious bedrooms on the second floor and four on the third (complete with playroom and billiard room) make this home perfect for comfortable large-family gatherings. 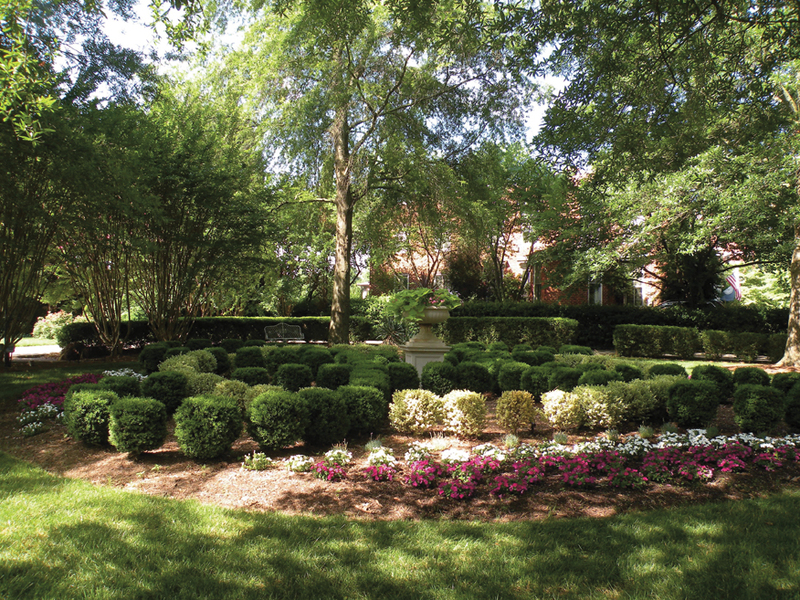 Step outside and you will want to ramble for hours in the lovely Proctor Harvey-designed gardens filled with boxwood and hydrangea. The pool, pool house and gardens were added in 2009 and the carriage house was built in 2012. A charming playhouse and playground for the grandchildren are nestled in a lovely corner of this unique 1½-acre property. This gracious estate in the heart of Boonsboro was built in 1997 and sits at the end of a long, curving driveway in the middle of 80 acres. Stunning in white brick with a red metal roof, the architecture was inspired by houses in Hartsville, South Carolina in which the owner was raised. The front entrance hall features several beautiful archways that lead into the formal living room and its rock fireplace, the dining room, upstairs or to the rear of the property. 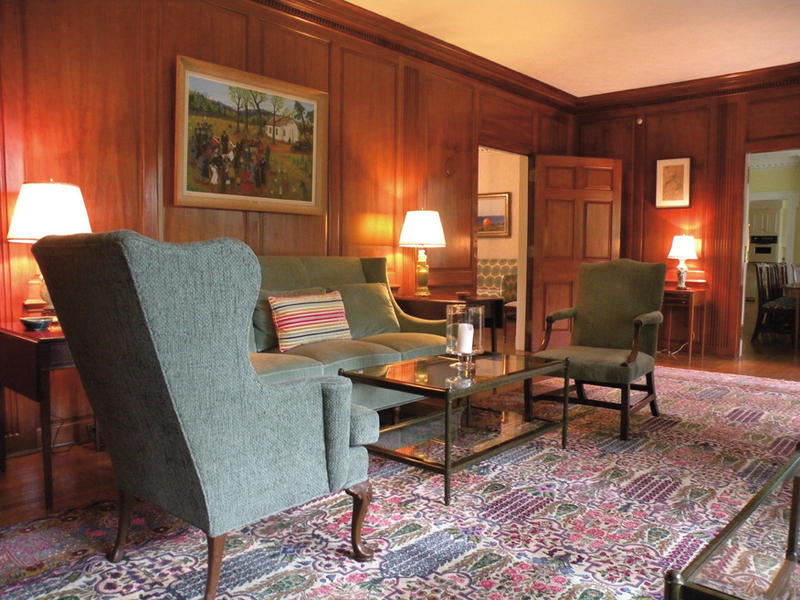 The home is filled with beautiful works of art, including paintings by Edward Gay, the owner’s great-grandfather, as well as other 20th-century American artists. Also a must-see is an Intaglio sculpture by renowned American sculptor, Erastus Dow Palmer. The beautiful furnishings and rugs have been lovingly collected over many years. The rear grounds include a terrace with mountain views, fountain, pool and a covered entertaining area with outdoor fireplace; all are surrounded by a circular brick wall that leads to yet more garden areas filled with indigenous plantings. This handsome Georgian home was designed by Lynchburg architect Pendleton S. Clark and built in 1930 by local contractor C. Raine Pettyjohn for his own family. It is said that Pettyjohn built the house to keep his construction crews working during the Depression, and that the fine detail inside and out may be the result of his intention for them to have plenty of work to do. 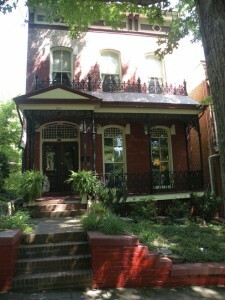 The house was purchased in 1983 by Randolph-Macon Woman’s College (now Randolph College) to be used as a president’s house; it is now home to Dr. Brad Bateman and Cyndi Lee. The furnishings are donations from several alumnae and friends of the college. The home is adorned with countless pieces of artwork from the Maier Museum of Art, Randolph College’s nationally recognized collection featuring works by 19th-, 20th- and 21st-century artists. Of particular interest is an original 1953 painting (Swing Low Sweet Chariot) by renowned Lynchburg artist Queena Stovall. Also of note is the priceless collection of “Doughty birds,” created by English artisan Dorothy Doughty beginning in the early 20th century. The collection includes many American birds, including indigo buntings, mockingbirds, goldfinches, quail, warblers, wrens, hummingbirds, and of course, cardinals. A true working farm and cutting garden located within the city limits, Irvington Springs Farm has been supplying Lynchburg and surrounding areas with fresh-cut flowers for many years. The property was purchased in 1944 by the Moomaw family, and four generations have since farmed the two-acre creek bottom. 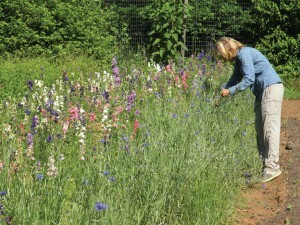 In 1995, the owners began farming flowers on the land with their six children. 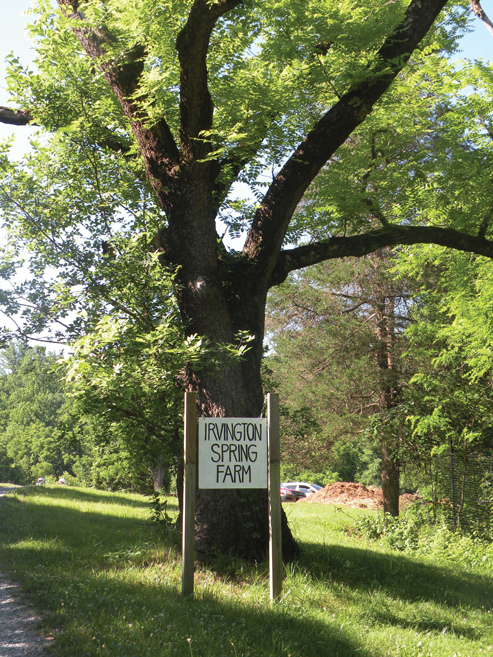 Today Kaye Moomaw says that the gardens are tended by “five working women and a token man (or two)!” Irvington Springs Farm is also a popular wedding venue. The Moomaw farm produces flowers for sale to local shops, florists, wholesalers and drop-by customers. In the peak season, customers can pick from over 200 varieties of sunflowers, zinnias, dahlias, larkspur and blueberries, just to name a few. Kaye Moomaw and staff will present lectures on composting, soil preparation, irrigation, pest control and gardening in Central Virginia. A member of Hillside Garden Club will conduct a flower arranging demonstration copying a number of arrangements designed specifically for our 2015 Garden Day homes. Garden Day tickets also include admission to the following historic properties and areas of interest: Anne Spencer House and Garden, Miller-Claytor House and Garden, Old City Cemetery, Point of Honor, Sweet Briar House and Garden, and Thomas Jefferson’s Poplar Forest. 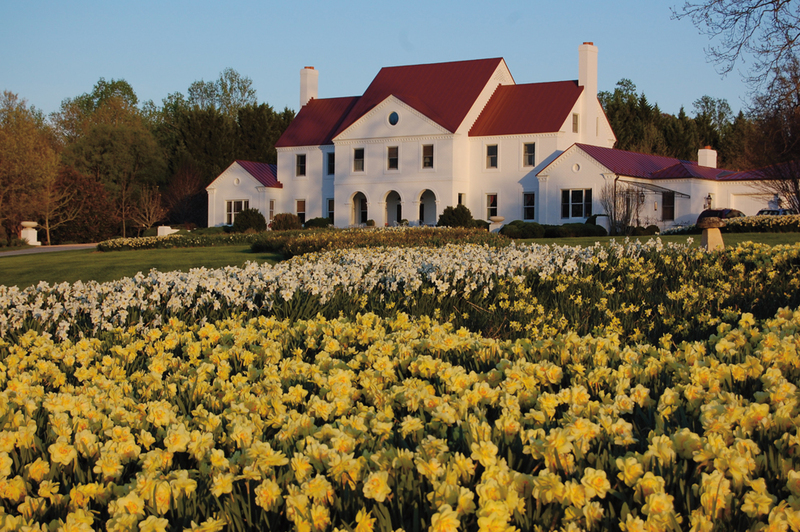 Proceeds from the tour fund the restoration and preservation of Virginia’s historic gardens, provide graduate-level research fellowships, and support the mission of the Garden Club of Virginia.